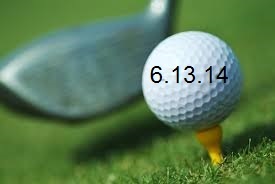 June 14, 2013 was a day of "firsts" for the 3rd Annual LHSA Golf and Dinner Classic. With inclement weather threatening all week, the tournament went on as scheduled on what turned out to be a beautiful day. We had a record number of golfers (71) and participants (86). 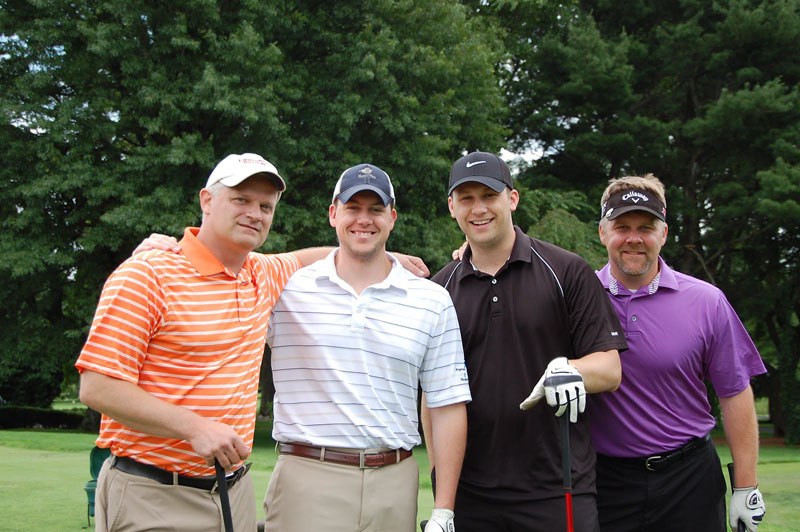 There were also a record number of sponsors, as each hole was sponsored by an LHSA supporter. See our list of tournament sponsors and donors. Please make sure you frequent these businesses. Not only support them, but say "thank you". Let them know you are from Lawrence Hamnett Soccer Association. We would like to continue to grow and foster these relationships going forward. Of course, the most important record we set was the money raised, more than eight thousand dollars! The proceeds of this event are used to help pay for our field rentals which allow our players to get on fields when they normally would not. This is critical in continuing their development as players. Thank you to all of our participants! We hope you enjoyed the day. We have already begun planning for next year’s event! into your calendar for next year. We want to continue setting records. Our goal next year is to shut down the entire course which requires a minimum of 100 golfers. We also want to increase our dinner crowd. Please spread the word! With that in mind, we do plan on making some adjustments. We received feedback from many of you and plan on addressing as many issues as possible to make our event as enjoyable as it can be. As our outing increases in size, we need additional helpers. If you would like to be part of the 2014 Golf Committee or if you have any additional feedback, please feel free to contact us at fundraiser@lawrencehamnett.com. There are quite a few ways you can help. We plan on having a meeting this summer to recap our 2013 event and kick off our 2014 event. Please consider joining us. The date and time will be posted on the website. Once again, thank you to everyone who helped make this year’s event our best one yet! More Info: Thank you to all our participants and sponsors for a great tournament this year! If you have any follow-up questions/concerns, you can contact us at fundraiser@lawrencehamnett.com. We are looking forward to a great event! We have a record number of attendees. Thank you in advance for supporting The Lawrence Hamnett Soccer Association. Below please find additional information regarding the golf outing and dinner, as well as a list of items available to win. Mulligans: $5 each, can be purchased at registration beginning at 11am. There are more than 25 prizes available to win. There are two means of winning, “Silent Auction” and “Raffle”. To avoid confusion “Silent Auction” items will be on one set of tables and “Raffle” items on another set of tables. In a silent auction, the participants write down their bids (along with their names) on a piece of paper, with each bid required to be higher than the previous bid. Participants can enter multiple bids. There will be a last call announced so that participants can revisit items of interest before the auction ends. Items will have a minimum bid set. Silent Auction items will have a “Buy-it-Now” price. This will be a price at which a participant who truly wants an item can pay that price and immediately win it. All that is required is for the participant to write in a bid that matches “Buy-it-Now” price. In the raffle (also known as a “tricky tray”) auction participants purchase tickets (prices listed below) and place as many in the bag corresponding with the item they want to win. At the end of the auction, one winning ticket will be drawn from each respective bag. The participant with the matching ticket wins the prize. We do not accept credit cards. We will accept cash and/or checks.